Epilobium coloratum plant in bloom. R. Schipper. Herbarium, U. Michigan. michiganflora.net (Accessed 5/2018). 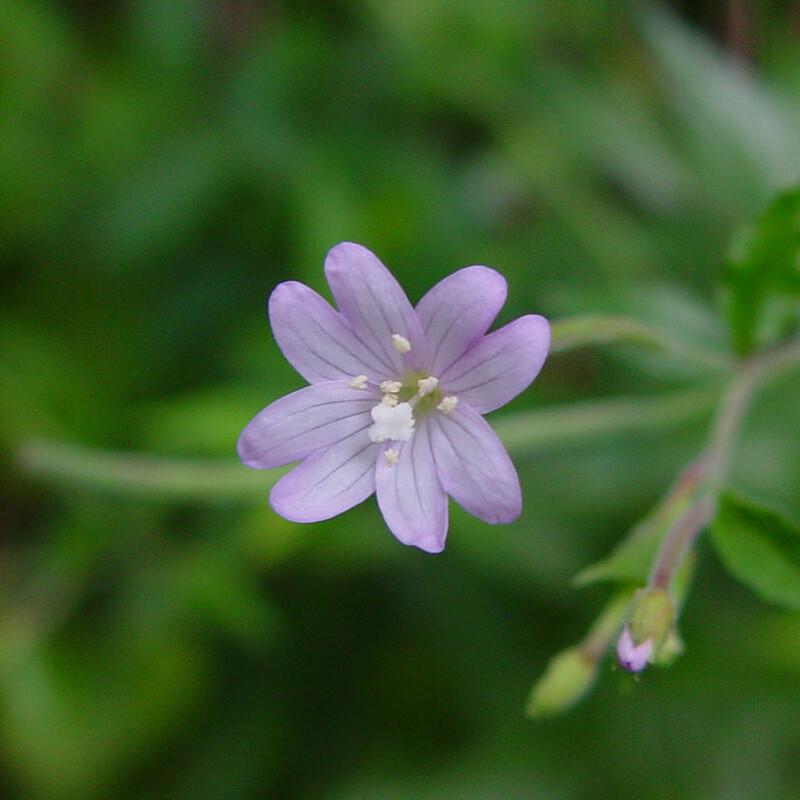 Epilobium is a genus of perennial (ours) herbs. 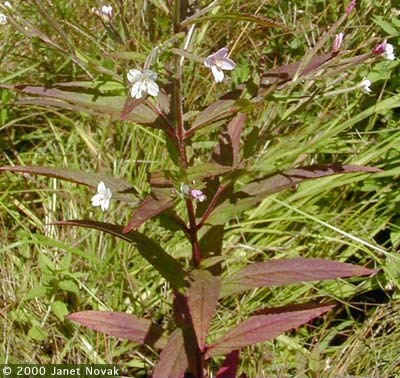 Epilobium coloratum leaves.www.ct-botanical-society.org.Janet Novak (Accessed 12/2014). Leaves mostly opposite, sometimes alternate in inflorescence. 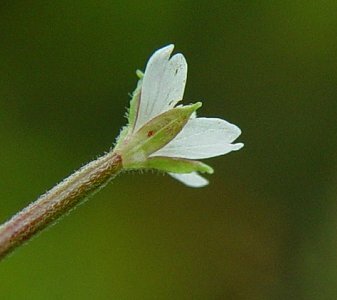 Epilobium ciliatum flower close-up. By Arthur Haines. Copyright © 2018. New England Wild Flower Society. gobotany.newenglandwild.org (Accessed 5/2018). 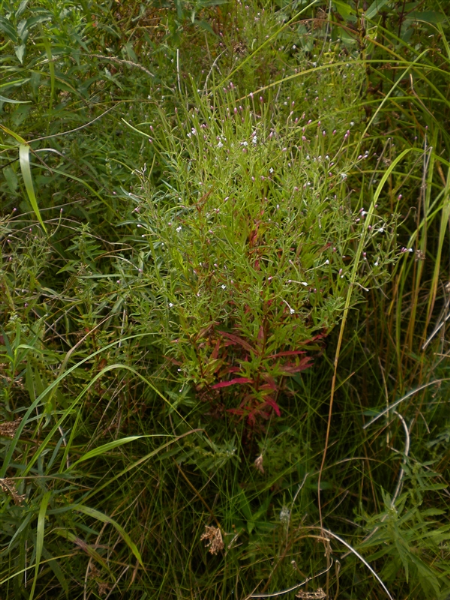 Epilobium coloratum calyx. David G. Smith. Discover Life. discoverlife.org (Accessed 5/2018). Flowers white to pink, sometimes purple, radially symmetrical, 4 petals, 4 calyx lobes, stamens 8, style short, ovary inferior, linear. 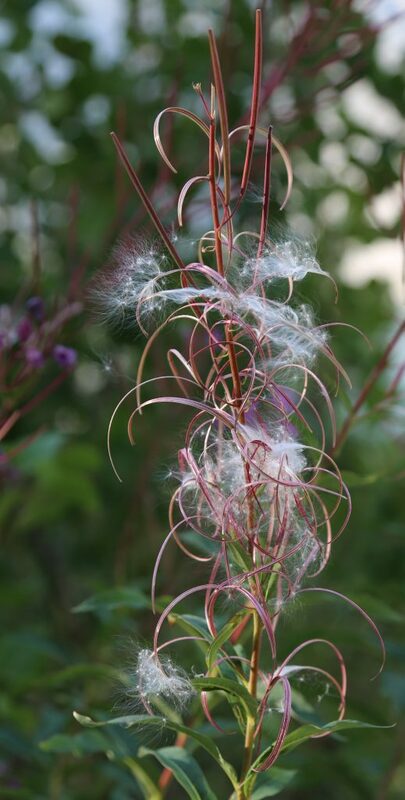 Epilobium angustifolium Fireweed seed stage.commons.wikimedia.org (Accessed 1/2017). Fruit dry, a 4-parted linear capsule splitting open to release numerous plumed seeds.